These fashion icons epitomized the eclecticism of Art Deco fashion and revolutionized the fashion world! Thanks to the booming economy, society felt financially stable and secure and began to take an interest in exotic travel. Moreover, women turned away from the traditional roles imposed on them, and took up non-traditional roles - like that of the tennis player or skiier. The massive interest in leisure activities like travel and sport required a whole new wardrobe of course! 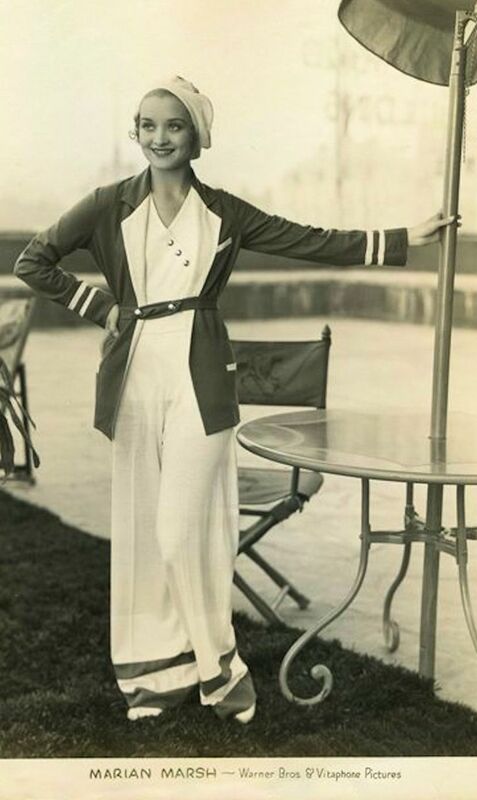 And this brings us to the third and final Art Deco fashion 'It' girl - The Sporty Girl. Women began to take part in a variety of leisure activities in the 1920's and 1930's. Sports - a traditionally male-dominated arena - began to draw in women participants. Popular sports of the day were tennis, skiing, bicycling, sailing, golfing and swimming. This leisure outfit still required the same criteria as more formal outfits - style and elegance - but it was supposed to be comfortable and flowy, not constricting. The increased interest in leisurely travel also called for appropriately chic but comfortable travel clothes. Clothing had to be both functional and beautiful (the classic mantra of Art Deco style). 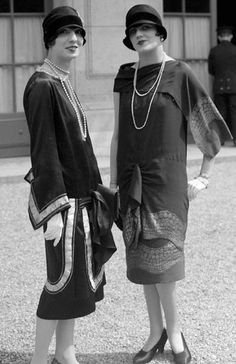 Coco Chanel reigned in this class of fashion. Her designs were simple, streamlined, comfortable and elegant. Women of the day all coveted this easy, effortless look and 'sportswear', as it came to be known, was all the rage during the Art Deco era. Read PART 1 and PART 2 of the Art Deco Fashion History Series.